(Natural News) Tired of watching members of their religious community fall victim to the health perils of sugar-laden soft drinks, a group of African-American pastors is filing a lawsuit against both the Coca-Cola Company and the American Beverage Association (ABA) for engaging in what the group says are deceptive marketing tactics concerning the safety of these companies’ beverage products. Leading the charge is William Lamar, the senior pastor at Washington, D.C.’s historic Metropolitan African Methodist Episcopal Church. Lamar says he’s had to preside over so many funerals for parishioners who have died of heart disease, diabetes, and stroke, that he finally decided enough was enough. The health toll from soda products is simply too great not to do something, he says, and many others in his religious community agree. According to The Washington Post, the suit has been filed on behalf of both Lamar and his fellow pastors, and the Praxis Project, a public health group that also believes both Coca-Cola and the ABA have been intentionally misleading the public about the primary causes of obesity. What makes this particular lawsuit a landmark is the fact that it represents a minority community breaking ties with a major segment of the junk food industry – one of the first of its kind. Junk food manufacturers and “Big Soda” companies like Coca-Cola and PepsiCo have been known to target both blacks and Latinos with their aggressive marketing campaigns, which evidence suggests disproportionately affects these communities in a markedly harmful way. As it turns out, rates of obesity, hypertension, diabetes, and cardiovascular disease are all higher in minority communities than they are for whites, suggests The Post. Minority communities also tend to drink more soda than other groups, which some say is due to aggressive advertising in the communities where minority populations tend to be the highest. A similar suit that was filed, and later dropped, in California made many of these same claims. It alleged that the beverage industry has been covering up data about the link between excess soda consumption and escalated rates of type-2 diabetes and other related metabolic conditions. Because of this, many people who drink soda don’t even know that what they’re consuming every day is harming them. 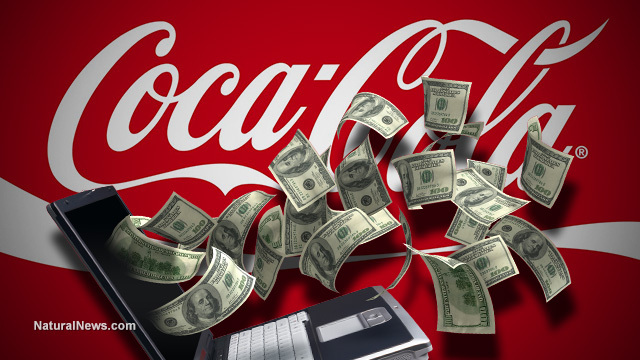 This earlier complaint alleged that Coca-Cola executives conspired to spend millions of dollars producing “research” to obscure the fact that consuming soda loaded with high-fructose corn syrup (HFCS) is likely to cause health problems. The company has even gone so far as to pay off “nutrition bloggers” to present soda beverages in a more positive light, the suit claimed, which has further exacerbated the obesity epidemic.